This turbo convector heater is the ideal solution to heat up your cold rooms or office enviroment. This heater, designed by silentnight with bedrooms in mind, is designed to keep you warm and to operate with reduced noise enabling it to be used unobtrusively at night. 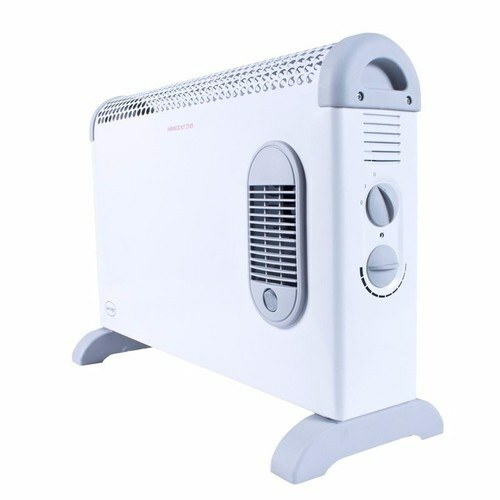 This heater works by creating a gust of warm air spread by the turbo fan to quickly heat the ambient temperature of the room, and uses a range of smart functions to ensure safe operation, such as thermostatic control and an automatic cut-out feature.